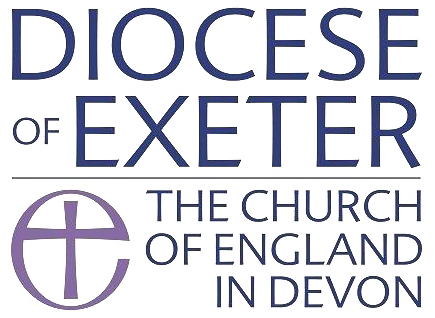 At the 9.30am service on Sunday 11th March, the Archdeacon of Exeter, Christopher Futcher inducted and installed Prebendary Nigel Guthrie as vicar of St David’s. This completes the legal process of Nigel taking charge of the Parish, involving symbolic acts. 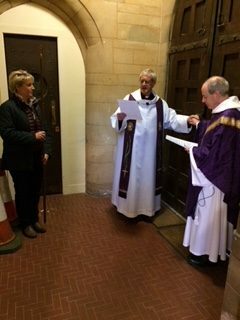 The archdeacon placed Nigel’s hand on the latch of the church door while Emma our churchwarden witnessed. 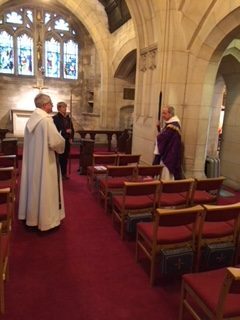 The archdeacon then showed our new incumbent around the church including tolling of the church bell. This was originally to inform the parishioners ‘the vicar’s here’, if they were not present at the church for the induction. Finally Nigel was installed in the Vicar’s chair. Here are some photos of the occasion.